The issue of whether or not professional air duct cleaning is important has been around for as long as anyone can care to remember. The Environmental protection Agency (EPA) remains steadfast in their stand that there is no scientific evidence to show that HVAC air duct cleaning can affect the health of those living inside the house. They even claimed that if there is dust build-up in your vents, it does not necessarily increase the level of dusts inside the home. The National Air Duct Cleaners Association (NADCA) however argues that there are various reasons why air vent cleaning service is being conducted other than dust build-ups. According to them, some factors include pets and smoking habits of people living in the house, thus the need for residential duct cleaning. Perhaps the best way for you to decide is to see the inside of the vents yourself. How do you go about this? Simply grab a camera, locate the floor register, get your hand in, and take a picture. Make sure your camera has a flash. If your phone has one, it will do; just make sure not to drop it inside the vents. Take a look at the picture. If the image you are seeing looks like that of that of a seriously clogged sewer system, then you definitely need professionals servicing air duct to take care of it. However, if you can sneak in a vacuum cleaner and get the job done; then do so. 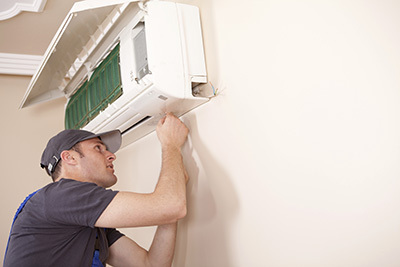 There are telltale signs that persons can also check to see if vent cleaning is seriously needed. Look for particles such as dusts and cobwebs blowing out of the ventilation system. Likewise, check for visible molds inside the ducts, the image captured by a camera can help with this. Lastly, check for rodent wastes as well as dead insects in the ducts. If these are present, then it is obvious that you need to have the ducts cleaned as soon as possible. No matter what debate there is going on regarding the importance of professional air duct cleaning, there is common sense behind why individual choose to get their ducts cleaned. When the ducts are cleaned, dusts, and other contaminants that carry allergens will be removed and the chance of them getting blown into the house itself is eliminated. When these build-ups that clog the vents are removed, the efficiency of the HVAC system will be improved thus lowering your energy consumption. At the end of the day, you will be the one to decide if these services are needed. Just take a close look at the image in your camera.